Thanks for allowing me to take up some space here, Sharon! Sharon and I have been friends for a long time, even before we both found a home at Curiosity Quills, and she's been nothing but helpful and encouraging every step of the way! As his grandfather used to say, "If you want something done right, don't screw up." He didn't know which was worse, full-on lies or partial truths. People could pop around the world in seconds but elevators still took ten minutes to go up eight floors. He scooted off, afraid she might say it again like an auto-flushing toilet, to shoo you away and make room for the next customer. Home improvement was not her forte. Everyone paid for their choices, one way or another. He'd let fate decide his future for him, come what may. Some might call that laziness, but he called it patience. Men are a-holes. Geri waited for the day the universe would prove her wrong. She wished she had Santa powers to fly up the chimney. Most uncomfortable situation ever. Only two people who felt completely comfortable around each other could volley insults back and forth so naturally. Thanks again, Sharon for giving me space to reveal the new POP TRAVEL cover - it's amazing! And the re-release has a sneak peek at the first chapter of SIMULATION which comes out Sept 14th! In 2080, technology has gone too far for private detective J. L. Cooper. 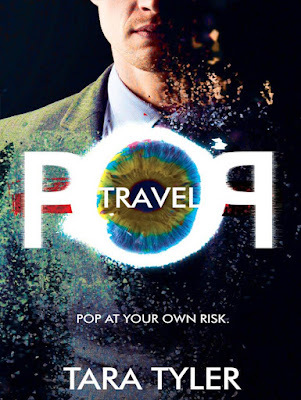 He thinks he can avoid pop travel teleportation, until he stumbles onto a video of a pop traveler who turns to dust. Sparking a series of murders, attempts on his life, and threats to his brother, Cooper wants to pass off the evidence but knows he’s being watched and can’t trust anyone. And who would believe him? With help from the neurotic genius “Creator” of pop travel and a beautiful Southern charmer, Cooper must expose the deadly glitch and shut it down or die trying. No problem. Tara Tyler has had a hand at everything from waitressing to rocket engineering. After living up and down the Eastern US, she now writes and teaches math in Ohio with her three active boys and Coach Husband. 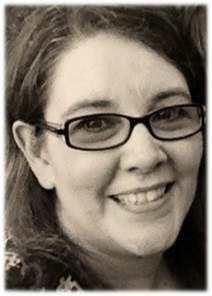 Currently, she has two series, The Cooper Chronicles (techno-thriller detective capers) and Beast World (MG fantasy) She's an adventure writer who believes every good story should have a moral, and a few laughs! Thanks, Sharon! the tweets are still coming!